This year has been a life changer for many persons diagnosed with Parkinson’s disease. I am hearing many encouraging reports from people who have found therapies that reverse Parkinson’s and are getting relief from their symptoms. This is a truly exciting development from previous years. I have described and summarized each of the ways that have been helping in a 98 page book titled: 2018 Update to Road to Recovery from Parkinson’s Disease. The 2018 Update covers all the new, promising options for recovery that I have documented over the previous year. Road to Recovery from Parkinsons Disease (previewed in the next section) addresses the multitude of therapies, habits and practices that my research shows helps people ease their symptoms. The 2018 Update addresses discoveries this past year about natural therapies that are not covered in the 2017 release. There is no overlap between the two books. I wish my mother could read the book I have written on Parkinson’s Disease but it is too late for her. She died seventeen years ago from a stroke that was triggered by the interactions and side effects of taking too many medications. There had to be another way. There had to be other decisions people with Parkinson’s could make that could help make them feel a great deal better. So, I founded Parkinsons Recovery in 2005 and launched an ambitious plan to interview people with Parkinson’s who had found ways to get sustained relief from their symptoms. To surprise and delight, I have run across a few people who have fully recovered. I have also interviewed many people who have found therapies that help them reverse many of their symptoms. How did they do it? That is what Road to Recovery from Parkinsons Disease is all about. Both the download and paperback of my 2017 update to Road to Recovery from Parkinsons Disease is now available. Road to Recovery is a book like no other book on Parkinson’s. Other books on Parkinson’s share a common theme. They tell us in the introduction that Parkinson’s is a degenerative disease. My research reveals this assertion is blatantly false. More and More people are reversing their symptoms these days. I believe that anyone can. Road to Recovery from Parkinson’s Disease documents how people with Parkinson’s find relief from their symptoms. I also provide a rich explanation of the factors that play a central role in causing Parkinson’s. In my view, a deficiency of dopamine is not the central influence. Symptoms of Parkinson’s tell us something is out of balance in the body. Road to Recovery from Parkinson’s Disease explains the nature of these imbalances and what people can do to bring the body back into balance. Treatments and therapies that are effective in relieving the symptoms of Parkinson’s are explained, referenced and documented. Yes. There are many approaches people are taking that have proven helpful. How do I know this? Through my interviews and eight years of hosting the Parkinsons Recovery Radio Show. I am passionate about the support, resources and information I provide to anyone who has been diagnosed with Parkinson’s disease. Why? I hold the belief that anyone – regardless of the “stage” of the “disease,” can discover natural ways to heal. Believe me. I am not naive. I realize many people think it is not possible to ease their symptoms. But, my research shows this belief is false. My heart tells me that the reason people with Parkinson’s symptoms deteriorate over time is because they think that is what is supposed to happen. The sabotage comes through our own negative thoughts and beliefs. I wrote Road to Recovery from Parkinsons Disease because I want to change the false belief template that Parkinson’s is “degenerative.” It is time to birth a new belief template, the true belief template that it is possible to find sustained relief from its symptoms. Once the false belief template has been transformed, thousands of people with Parkinson’s will find ways to get sustained relief from their symptoms. It needs to happen now. The Trauma Connection – Trauma has a profound impact on Parkinson’s symptoms. Release the trauma. Find relief from symptoms. The Toxin Connection – There is no question about it. Toxins cause the symptoms of Parkinson’s. Get rid of the toxins. Find relief from symptoms. The Thought Form Connection – When we think negative thoughts, we manifest negative outcomes. Hold positive thoughts. Find relief from symptoms. The Trauma-Toxin Connection – Have you done all the detox programs prescribed by your doctor but still see no relief in symptoms? A traumatized body retains toxins no matter how many detoxes you do. The Creativity Connection – Symptoms of Parkinson’s slow most people down. Know what that means? Their creativity soars. They slow down enough to find their passion and true purpose. The Power Connection – People who find ways to ease their symptoms take responsibility for their health. They take action to balance their hormones. They get better. The Family Connection – Some people with Parkinson’s take on a dynamic in their family that began at a time far away and long ago. Identify the dynamic. The engine that drives the reason for the illness will be sent to the salvage yard. The Experimentation Connection – There is a surprisingly large number of therapies that are helping people with Parkinson’s find relief from symptoms. Give one or more of the therapies a trial run that are helping other people with Parkinson’s. See what happens to your symptoms. There are therapies that will make a huge difference. The Exercise Connection – People who exercise feel a lot better. We don’t need any more studies to “prove” this to be true. The Diet Connection – People who are meticulous about their diet eat live foods for their live body. They feel better because they eat food their bodies love. Many people believe that symptoms of Parkinson’s are caused by a deficiency of dopamine. Western medicine is well equipped to give bodies mega doses of dopamine, but the symptoms usually persist over the long term. There must be something else going on here, don’t you agree? Neurological difficulties are caused by several factors that can combine together to make matters worse. Toxins construct roadblocks to neurological pathways. Trauma crunches neurons so they do not function properly. Packaged food rips out the vitamins, minerals and antioxidants that are essential to healthy neurological functioning. Couch potatoes clog up their lymph system so badly that is hurts to walk across the living room. The roots of Parkinson’s originate in how we think moment to moment. When we delete the debris of negative thinking that has been saved on the hard drive in our brain, we have all the room that is needed to manifest better balance and harmony. When we identify and remove the seed thought that underpins and sustain the symptoms, our best and highest good is served at long last. We feel better. The food of negative thoughts that feeds the symptoms has been sent to the trash bin for good. People have told me across the globe what they are doing for themselves to feel better. Now I get to tell you the good news. The wisdom of thousands is captured in Road to Recovery from Parkinson’s Disease. 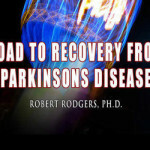 What Problem Does Road to Recovery From Parkinsons Disease Solve? Where does a person usually turn to learn about therapies that might give them relief from the symptoms of Parkinson’s? The internet is the logical choice for many people. The downside of this choice is that it is easy to become discouraged about the prospects for recovery when surfing the internet. There are so many gloom and doom predictions on the internet about Parkinson’s. You can’t help but run across web sites that offer wheel chairs, assisted living arrangements and “cures” of one type of another. It is hard to maintain an upbeat attitude when all you find is help and assistance for the chronically disabled and offers from quacks. This is all yucky stuff to encounter. Internet research is one sure way to nurture negative thought forms. When every place you visit preaches gloom and doom, you can’t help but begin to believe it all. Let me be clear about the purpose and content of Road to Recovery from Parkinsons Disease. Here is my “truth in advertising” disclosure. Any discussion of wheel chairs. They will not be needed when you are far enough along on the road to recovery. Any listing of nursing homes. I believe you can remain independent as long as you choose. Any talk about “cures.” I believe it is terribly silly to think about “curing” yourself. Do you really want to become like concrete or crispy bacon? Concrete discussions about choices you can make to help yourself feel better. Endless optimism.about the future for you and your family. Ways to transform beliefs about what the symptoms are really telling you about the imbalances in your body. Suggestions you can run with to feel better. What Will You Receive When You Purchase Road to Recovery from Parkinsons Disease? The 2017 revision to Road to Recovery from Parkinsons Disease contains a wide spectrum of topics. The Table of Contents below offers a rich preview of its contents. Recovery Can Happen Now. Make It So. The Body is Not Broken. It is Working Perfectly. Why is it So Hard for the Body to Maintain a Balance of the 40 or So Hormones? Should I Fight or Surrender? What is the Count of Your Symptoms? What are People Doing to Feel Better? What Type of Exercise is Best for Parkinson’s? What are some treatments which relieve tremors? I would like to try fava beans to boast my dopamine levels. I found blanched and shelled beans but I don’t know if they have enough dopamine to make them worthwhile or how to prepare them. Do you have any information on Lyme disease and Parkinson’s? I was bitten by a tick in 1998 and diagnosed with Parkinson’s 30 months later. Do other PD people notice a change/worsening of symptoms seasonally? I just realized that for several years now my symptoms seem to increase about December or January. This time period is when I have been starting or changing or increasing medications. Can you recommend any techniques to improve my walking? At present I tend to drag my right leg. If I go for a walk I am OK after about half a mile. I tend to drag my leg on short runs and around the house I am wondering about how to deal with slow movement. Are there any ways to overcome this? It is my worst symptom. The medications are not working for me now. Can I get a blood test or a scan or anything else in the way of a test to tell me how good or bad I am and what can I do for myself. I feel so useless, not knowing what to do next. Can You Give Me a Suggestion for How to Revitalize My Support Group? People are losing interest and dropping out like flies. What happens if you take Sinemet and Mucuna at the same time? I am currently on a regimen of Stalevo, Azilect and CoQ10. My major problems are balance, muscle weakness (mostly left sided), worsening manual dexterity and some cognitive deterioration (including short-term memory problems). Are there any supplements to add or anything I should be doing to help slow progression? Do you think that using the medications can make your symptoms worse? I have been taking L/Dopa for 6 months now and just increased my dose in the last couple weeks and I have noticed more tremors in my legs. What is the best exercise for people with Parkinson’s Disease? What are exercise and diet remedies that would help? What natural methods can help me walk better? My creative writing has come to a standstill because my hands and fingers are currently not flexible enough to type. I am trying to find other creative outlets, but I really love to write Any suggestions? Somewhere I remember reading that PD people sometimes become more artistic. Is this really true? What Helps People with Parkinson’s? You do not believe that Parkinson’s is a disease? Do you not believe that there is physical damage to the part of the brain that produces Dopamine? Do you not believe that the damage has been verified by examining brain tissue from deceased Parkinson’s patients? Is the brain not part of the body? Is the brain just “out of balance”?Have you ever seen anyone whose primary symptoms are pain and a very unpleasant internal tremor or other sensation? Do emotionally healthy, well loved people, who have had the advantage of diet, GET Parkinson’s Disease? Can you compare Alzheimer’s as a condition with Parkinson’s? Is one or the other easier or harder to address with regard to alleviating symptoms? In terms of addressing the two, are there things that people with Alzheimer’s can do to get relatively quick relief, whereas people with Parkinson’s can do similar things but it takes much longer to see relief? I wonder when Parkinson’s Disease Started. I wonder if it when the industrial revolution began, in the late 18th century, or before that? What is the best way to determine an individual’s need for specific supplements – vitamins, HERBS, minerals, etc.? With respect to your nutrition supplements of folic acid, vitamins B6 and B12, how do they help any further since the brain cells in the substantia nigra are already destroyed which has caused the Parkinson’s disease? I have been diagnosed recently and am shooting for full recovery. Progression seems to be slow. I can’t find anywhere to compare progression to. What do you know about the effects of CoQ10 and vitamin E in PD? Is it considered a drug or a vitamin? Can you send me somewhere to get info? Is there any evidence or information about the benefits of massage for people with Parkinson’s? Can exposure to flea powder used to kill fleas cause Parkinson’s symptoms? I was exposed recently and has an immediate reaction. How do you recommend we detoxify our bodies? I have massive family issues, stress issues, have Parkinson’s Disease and am 49. Where do I start? Have you heard of Low Level Light Laser Therapy for Parkinson’s? Have you found pain to be a significant symptom in people with other symptoms of Parkinson’s Disease, and if so, what they do to find relief? For people who take L-dopa, it is common for them to feel worse 20-45 min after taking the medication before finding relief? Our bodies got sick because of some type of toxicity. At least that is my belief. Do you agree? How do we get rid of the toxicity that is making us sick? How can toxins or stress be removed if trapped at a cellular level? Can Parkinson’s be caused by problems in either kidney or liver? If so, would detoxification of these organs help relieve tremors? I have been reading information on how to recover from Parkinson’s Disease and I came upon an article that indicated that once you are on the Parkinson’s medication you cannot recover from the disease…that you cannot go back so to speak. Do you believe this to be true? My dentist did hours of research & found the most helpful therapy for Parkinson’s symptoms was using magnets & good hydration. Reactions? My husband has been diagnosed with Parkinson’s Disease 7 years ago. His latest symptoms are: burning and pain around the groin area, thighs and sometimes backside. Any suggestions? I am ready to give up. I would love to listen to your station. How do I go about doing that? 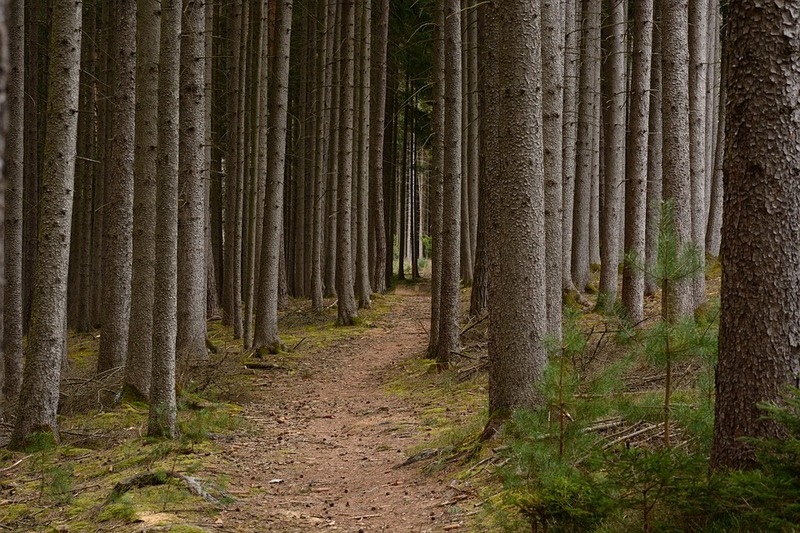 What Does Road to Recovery from Parkinsons Disease Cost? The cost of the desktop (or download) version and the hard copy version of Road to Recovery from Parkinsons Disease is the same: $32 USD. I explain the difference between the two choices next. The desktop (or download) PDF version gives you the advantage of being able to click on the links throughout the book which take you instantly to the web site of interest. The desktop (or download) version of the book must be read on your computer or phone. Of course, you can always print the book out on your printer, but be warned it is 376 pages in length. A big advantage of ordering the desktop version is that you get to begin reading it now. Once you purchase the desktop (or download) version, you will receive an e- mail message that gives a download link for the PDF version of the book. You can read the book on the computer in just a few minutes and begin to happily link to all of the resources that are listed. 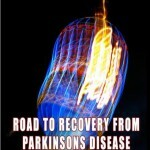 If you do not receive the download link after ordering the book, please e mail me: robert@parkinsonsrecovery.com. Sometimes the download message gets diverted to a spam folder. The advantage of ordering the printed copy of the book is that you can hold the hard copy version of the book in your hands while sitting in your most comfortable spot in the world. Everyone knows that no computer is necessary to read the printed book. It will arrive in your mailbox in a week or so after sending in your order. Shipping charges will vary depending on the destination. The factors that cause the symptoms of Parkinson’s are complex. I do not believe for one minute there will ever be a single solution. A combination of therapies and treatments is needed. Which ones? At what time? These are decisions each person must make for themselves. Road to Recovery from Parkinsons Disease presents an overview of a wide range of therapies and treatments that have proved helpful to other people. Use your own best instincts to evaluate the options. Decide for yourself what is the best course of action for you. 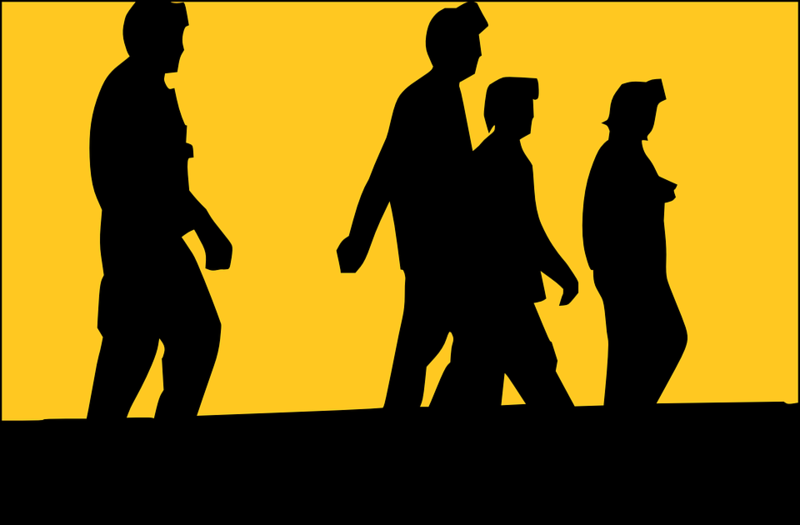 Road to Recovery from Parkinsons Disease is packed full of suggestions and ideas that facilitate ways to ease the symptoms of Parkinson’s. It also provides a compelling argument for why natural therapies can help anyone at any stage of disability. The neurological system is very delicate and very sensitive to trauma, stress and toxins. When these are removed, released and ejected from the body, healing happens. If you are dedicated to finding ways you can help yourself, the 2017 update to Road to Recovery from Parkinson’s Disease will be a welcome companion on your journey to health and wellness. .
Therapist suggested I try “autogenic relaxation”, got about 2 -3 hours of NO symptoms. The right hand was the old right hand I had before Parkinson’s. Art and writing code also makes the symptoms go away. The art has to be studio work with no “commercial” tag stuck on it. Code; don’t know WHY it works but messing with a programming language ALSO gives relief. So my conclusion is I am going to try and avoid DBS. It only promises 5 extra hours a day of relief. I’m thinking that I should spend 5 hours painting or doing some abstract code. ps. The dopamine chronicles was my response to the diagnosis. Sort of a “Hail Mary Pass” to the end zone. I was afraid I was going to lose my ability to draw (I HAVE had to adapt my process a bit, but that’s different story. WOW – sounds like you are on the right track! my hands started shaken whenever l hold somethings like spoon ,cup or attempt to collect ane thing. l request to know what to do please. might want to explore the cause. Oh goodness. This is not the blog! This is also not the radio show or Sunday connections or symptom tracker or the chat room of the fava bean website – all of which are free and all of which I personally sponsor through Parkinsons Recovery. Check out the mountain of free resources that I provide persons who currently experience the symptoms of Parkinson’s disease. Listen to some of the radio shows I have aired over the past 6 years – all of which are archived and available for free to you (but not to me!). You will get all of the information you need for free to steer a steady course on the road to recovery. No need to buy anything. I am looking to connect with someone named randy who compounds medicine for Parkinson’s. I thought his email was randy/rphconsulting@gmail.com. Can you help? Sorry. He no long offers that service. You continue to be the beacon of light for all of us with the so called dis-ease called Parkinsons and I thank you for your dedication. Your mom I’m sure is very proud of you for all that you have done. Je suis désolé…je ne parle pas bien anglais..! I am sorry I do not speak English very well..! Le livre a-t-il été traduit en français? The book has not yet been translated into French. So Sorry Daniel! Sent me on my way, see you in 30 days he said. can’t find a Parkinson Doctor in town. Read about some kind of IV Drip posta get metal out of your system. I worked 30 years in a chemical plant. Can someone point me in the right direction for professional help? Oh yeah,can all the supplement listed above in the road to recovery can be taken with the Rx I have? Hi sir Robert! It’s me again jr.meliton, you know I am always trying to look for natural treatment for PD because I am the one suffering this disease and i found myself becoming worse now. Presently, I am taking levodopa/carbidopa 250/25mg every 4 to 6 hrs, but before I took only one in the morning and one in the evening. I have asked you before if you can sent me thru my email the things what to do for free for I really no source of income since I got this disease, is it possible that you will give me this favor? Please help me. I really want to recover from this aweful illness. Waiting for your favorable response and I thank you in advance. I offer many, many free resources that you are invited to access. For starters, start listening to some of the over 240 interviews I have aired on Parkinsons Recovery Radio. All interviews are available to access for free. (I pay a fortune to make this service available for free). I would really appreciate the information. I forwarded your request directly to Cheryl. I do not know her doctor’s name. but of course she does. I do not have her permission to give out her email. so I just forwarded your request to her. I trust she will respond in time. As I see it Zlatica: miracles happen all the time. 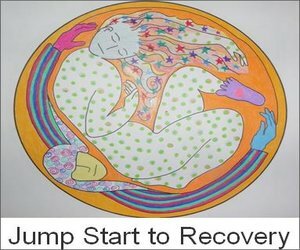 Know that there are now many options that support recovery. You have focused primarily on ways to suppress the symptoms. You might also consider addressing the reasons for the symptoms so you can begin to address them. Good evening Robert. Had a wonderful new patient today with your book in hand. I’m honored and blessed by you. Just wanted to let you know that all of his PD symptoms came on after starting a beta blocker five years ago. Starting some protomorphogen treatment along with the appropriate nutrition to offset the damage done by the beta blockers. Will have to let you know how he does. You are a blessing to so many. Would love to spend more time with you again. Blessings brother. Just listened to step 1, dx 10 years ago, back pain then freezing is my problem, I am interested in your book on Muscle Testing. I injured my back many years ago in a water skiing accident. My muscles tighten up, I can feel the spasms, then my legs refuse to cooperate, I feel as if I freeze. Thanks again for your interest in helping those of us who have this disease. Martha, have you tried chiropractic treatments? Anne, Try chiropractic therapy it helps enormously to reduce the tremors I experience! Will I be able to work with the downloaded version of your books on my iPad, iPhone and PC? Meaning can I switch between devices back and forth. I’m excited about your content. It’s astoudingly comprehensive. on all devices – but I am actually not 100% certain. My father is presently using amino acid therapy to treat Parkinson’s. He’s taking Mucuna Pruriens to provide l-dopa and he’s also taking Tyrosine, B6 and other amino acids. The basic thinking behind this is that Carbidopa isn’t good because it depletes B6, among other things. Is this a valid form a therapy and is Carbidopa harmful in the long run (My father took the synthetic form of L-dopa from 2014-2017)?